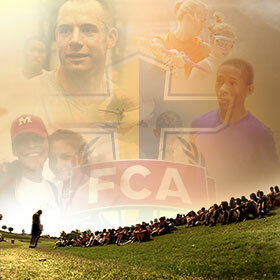 I’m very excited about how God is working through the ministry of FCA, and I’m honored to be a part of it! My ministry efforts in East Cobb County, GA with FCA are possible because of appreciated donors’ faithful prayer and financial support. We ask that you prayerfully consider helping us reach more athletes and coaches for Christ with your gift today. Your support has a direct influence to change the hearts of the next generation for the sake of the gospel! Please feel free to contact me at <a href="mailto:rstroup@fca.org">rstroup@fca.org</a> to learn more about our ministry efforts and specific areas in which you may have interest or questions.